One of Self Help Graphics' most popular events, Dia de los Muertos, is on November 2nd, which is preceded by a series of community art workshops throughout the month of October. This event is the longest running Dia de los Muertos celebration in the whole country! 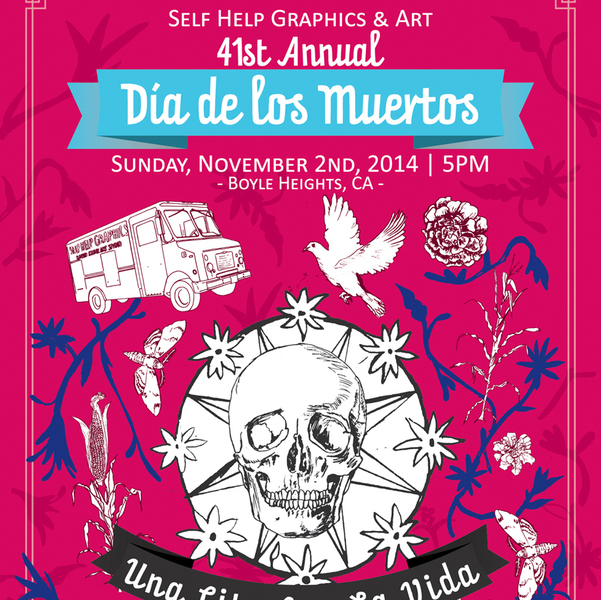 Log in to see who is volunteering for 41ST ANNUAL DÍA DE LOS MUERTOS UNA CITA CON LA VIDA!